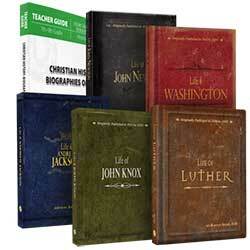 Most of the selections we offer have a Christian perspective. Holt McDougal is a secular world history course. 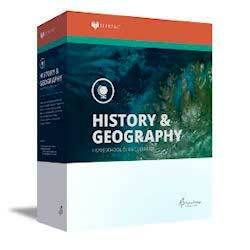 World History Made Simple can be used as a survey course in world history or used in another social studies course. Students will gain a knowledge of history past and future, and a biblical worldview to help with thinking about governments and issues of today. 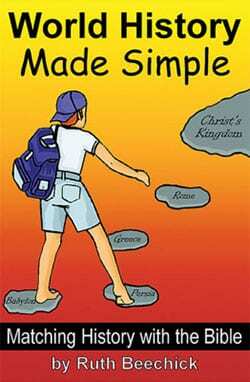 Because World History Made Simple follows the Bible, it solves a number of mysteries that other history books cannot solve. 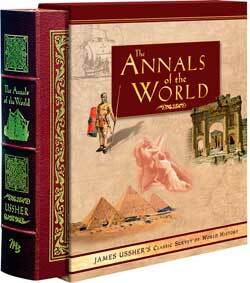 James Ussher wrote this history of the ancient world in the 1600s. He traveled throughout Europe examining original source documents. 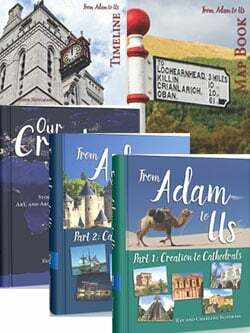 Written in chronological order, Annals of the World covers history from Creation to the Fall of Jerusalem. 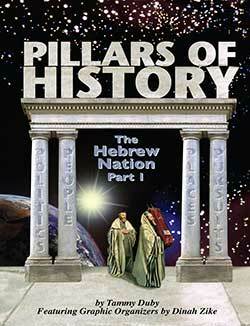 You could read this book cover to cover as an ancient history course. 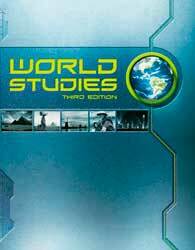 Or you can use Annals of the World as a reference book to supplement such a course. Master Books commissioned Annals of the World, an important literary work, to be updated from the 17th-century original Latin manuscript to modern English and made available to the general public for the first time. 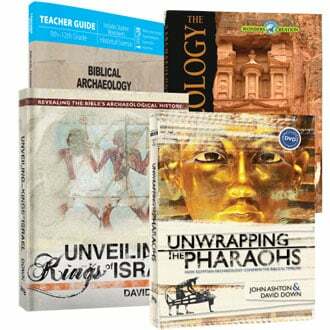 In its pages can be found the fascinating history of the ancient world from the Genesis creation through the destruction of the Jerusalem temple. In the years 1650-1654, James Ussher set out to write a history of the world from creation to A.D. 70. The result was published in 1658 as the literary classic The Annals of the World. 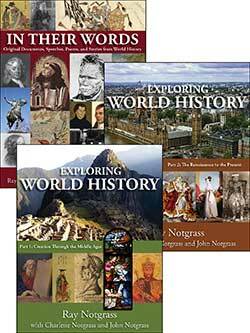 This famous comprehensive history of the world, originally published in Latin, offers a look at history rarely seen. Ussher traveled throughout Europe, gathering much information from the actual historical documents. Many of these documents are no longer available, having been destroyed since the time of his research. Using the Bible as his timeline, Ussher began with the death of Nebuchadnezzar as a reliable date and worked backward through the genealogies of the Old Testament to arrive at the date of creation – 4004 B.C. Integrating biblical history (around 15% of the text is from the Bible) with secular (around 85% of the material is from non-biblical sources), Ussher wrote this masterpiece. Considered not only a literary classic, but also an accurate reference, The Annals of the World was highly regarded for its preciseness that the timeline from it was included in the margins of many King James Version Bibles throughout the 18th, 19th, and 20th centuries, calling to mind the fact that the earth is only around 6,000 years old. The fact that Ussher’s chronology has been deleted from Bibles is evidence of the Church’s backsliding into the deceptive ideas of evolution. The Annals of the World is a necessary addition to any church library, pastor’s library, or any library – public or personal. The entire text has been updated from 17th-century English to present-day vernacular in a five-year project commissioned by Master Books. Containing many human-interest stories from the original historical documents collected by Ussher, this is more than just a history book – it’s a work of history. If you want this for your library, you might prefer the hardcover edition.